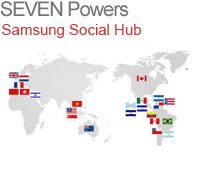 To Receive SEVEN Networks Whitepaper on Push Notifications via Email Please Enter your Information Below. Always sync up with my working calendar and emails on the go. Faster access to email, fewer steps required, convenience. Real-time email helps me improve my communication. It’s important for me to stay connected at all times with my business, my family and news around the world. Push saves battery life and works in real-time. I use it for work to be able to respond quickly to emails.